A fresh, ripe peach picked off the tree is fuzzy, soft and juicy. Late summer brings this wonderful fruit in abundance. Enjoy! Heat oil in large nonstick skillet on medium heat. Add pork chops; cook 6 minutes per side or until desired doneness. Remove from skillet; keep warm. Place sliced peaches, water, sugar and vinegar into skillet. Bring to boil. Reduce heat to low. Add peaches; simmer 2 minutes. 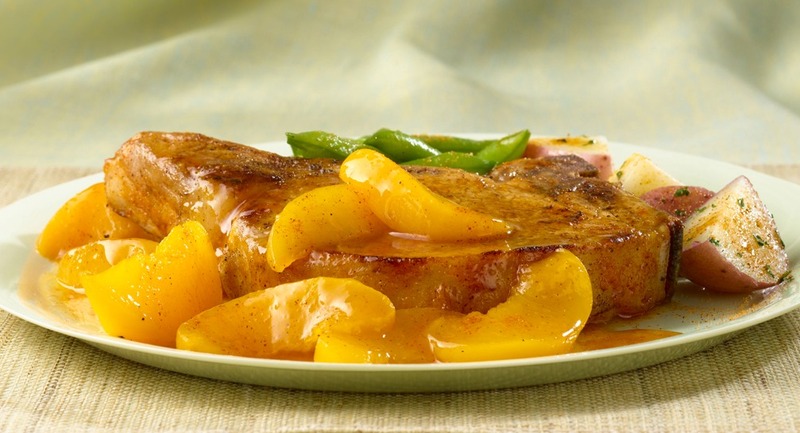 Spoon over pork chops to serve.